How much does it really cost to build, grow, and manage a website for personal branding? In this post, I’ll try to answer that question for you. As my business is primarily online, for me, it’s essential that my website is always there, live and active for the world to see. But, do you really need a website to build a successful personal brand business? There are many successful personal brands that don’t have a website. For instance, some folks like to rely on free platforms such as social media, Instagram, YouTube, Medium.com, etc. to distribute content, connect with their audiences, and to brand themselves. However, I think having a website is very important, and not because I’m a web designer and need to flog off more websites to clients who want to brand themselves online, but because I really think a website can be the central hub of where everything happens for your personal brand business. Moreover, having a website means you have complete control and ownership of your content, audience, engagement, privacy, and terms of service and business, and all the rest of it. Now, let’s imagine for a moment that you invest all your time and energy into using something free and chirpy like Medium.com to create content and build a following. What happens if that website or service were to someday disappear, or be taken over by another company who perhaps had other ideas for the site? All that hard work you invested into using that platform would have been for nothing almost, and all so that you could save yourself some time and money and have no overheads with running your own website, right? I’m a big believer in having your own domain name and website for personal brand building, even if it does require extra time to setup and manage. And, even if it does mean spending a little bit more money too. How much does it cost me to grow and manage my personal brand website? Let me very quickly share with you how much it actually costs me, each year, to grow and manage the Magnet4Blogging website. Below you’ll find a rough breakdown of the actual yearly cost of tools and services that I need to ensure my website runs as smoothly as possible. Keep in mind that this is 5 years after starting the website (Launched in 2013). OK, so below you’ll find the yearly cost of all the other tools/services/apps that I also use, in addition to the above, to ensure the continued growth of my website and personal brand business. So, the total recurring cost of running Magnet4Blogging Media for me is $1,100 per year, and obviously, that’s not including all the tools I’ve invested in that are not subscription based over the last 5 years. For example, I’ve invested in professional apps such as Tym2, Final Cut Pro, plugins for Final Cut Pro, website design and coding tools and apps, and much more. So, just the recurring cost of running my website is around $90 per month. Not exactly a bank breaker, and, of course, I make that back within a few days or so of running my business anyway. How much should it cost you to have a website for personal branding? Like I said, you don’t need a website to make a start, or to become successful. If you want to save time and money, there are plenty of popular platforms you can use, including social media. If you want to start with a website, which is what I would personally recommend, your running costs will depend on a few factors. Are you already well established but you’re at the stage where you’d like to start growing your online business/website? Do you already have an established offline brand and need a website to expand your horizons online, and reach out to a wider customer base? What type of website do you currently have, or would like to have? i.e e-commerce, personal brand, blog, membership website, etc? What kind of services do you want to provide through this website? What features do you want to have on your website, etc? We won’t look at the cost of running every type of website, but as you can understand, actual costs depend on a lot of things some mentioned above. For now, let’s look at answering just two of those questions above for a personal brand website. Or, do you already have a personal brand website, but you’re ready to start growing it? When you’re just starting out with a fresh website, you don’t have to spend a great deal of money on things you don’t actually need. Obviously, your initial investment will just be for a domain name and some basic web hosting. You can find both of these things here if you’re just starting out. For the first year or so, your focus will be on building your website and defining your personal brand. So, in other words, you’ll be focused on defining and building your target audience, creating as much useful and relevant content as possible, and generally creating as much value as possible. You’ll also be designing a personal brand that will stay with you for a very long time. For example, choosing the right colors, designing a logo, etc. Forget about how much money you can invest at first, instead think about how much time you can put into branding yourself through your new website. As for marketing and promotion, you don’t really need to waste money on expensive advertising campaigns or anything like that either, however, it’s entirely up to you, and, if you have the budget. I would instead recommend focusing on using the free tools, services, and platforms available to help you get your content, products, and services noticed online. All of those platforms are not only free, for the most part, but they’re great places to help you distribute your content to a wide audience and drive them back to your online portal, your personal brand website, and to help you manage and grow your personal brand business. Now, after a year or so, you’ll probably want to look at new ways to start growing your website and personal brand properly. Perhaps by then, you’ll have some budget available to do that too. Of course, any money you spend or invest in growing your website or blog increases your yearly running cost. Signing up and paying membership fees to use premium tools/apps/services/plugins. Paying for professional website design. Paying for advertising, such as Facebook Ads and AdWords. Paying to grow a large email list. Paying for content/copywriting services and SEO. Paying for product research and development. The list above could go on. There’s no magic frugal money saving formula, and as I said earlier, you don’t have to waste your money on anything fancy if you don’t need to. Especially when you’re just starting up. This is where a lot of new startups/bloggers/solopreneurs flop, crash and burn, they try and signup for every online tool, app, service on the planet and it then becomes a chore to try and learn how to use and make good use of all these fancy tools. Time is wasted, money is wasted and zero progress is made. Worse case scenario, the cost of running a website becomes so expensive that it ends up being the cause of its failure, especially if the revenue from the website is low at first. You can easily run up thousands of dollars worth of payments each month for all these expensive tools and services. Bad idea, right? How do you not fail at managing the cost of running your personal brand website? Start by investing in only the necessary tools and services you need for reaching your current goals. And that’s what it also boils down to – Goal setting and knowing exactly what you want to achieve with your personal brand business and in what timeframe. 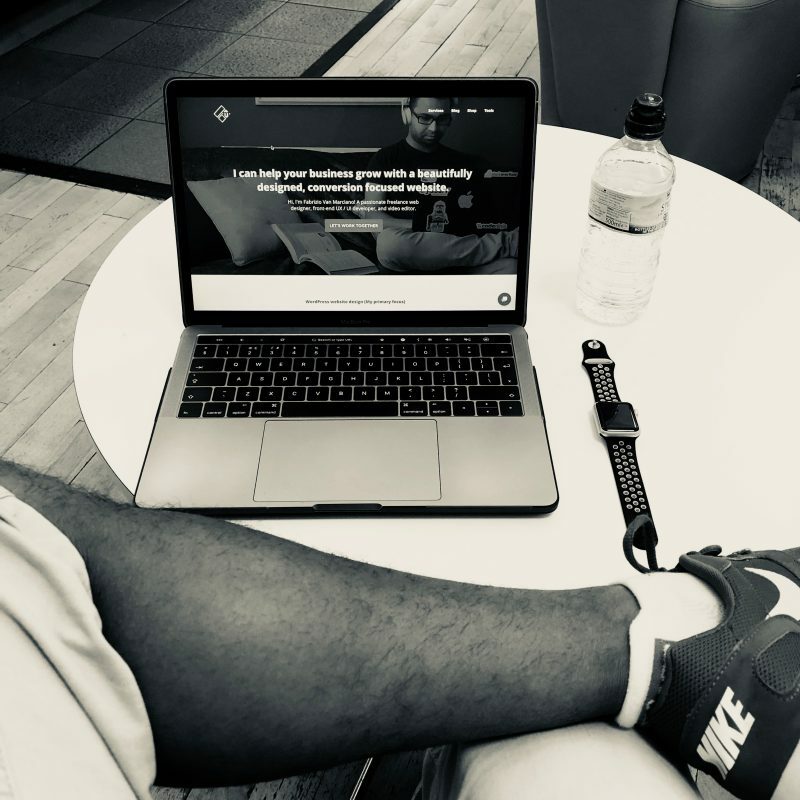 I’m not against spending money to grow my personal brand business, if I want to achieve growth in an area of my online business, I will invest in the right tools at the right time. So, as your website and personal brand grows in popularity and starts to profit more for you, then you could consider spending a little bit more to promote its growth further. As you can see, I can’t say that a website will cost you X amount as there is no set figure here. It all depends on a lot of small factors, including how much progress you want to make and how fast. I hope you found this post useful, I want to wish you the best of luck. If you want to connect and engage with me, I’m active on my Facebook business page and Instagram profile. You can also check out my Vlog on YouTube.